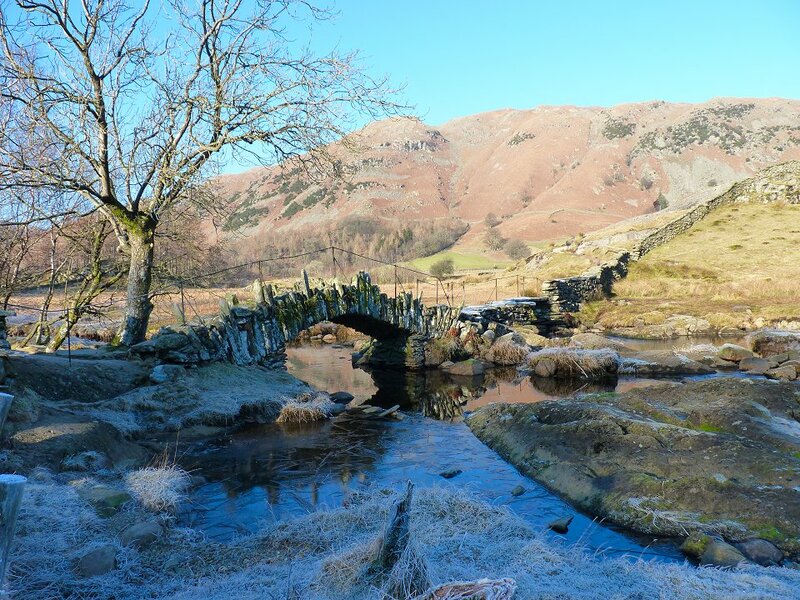 Route - Elterwater - Lingmoor Fell - Slater Bridge - Moss Rigg quarry - Hodge Close - Holme Fell - Hodge Close - Stang End - Wilson Place - Elterwater. 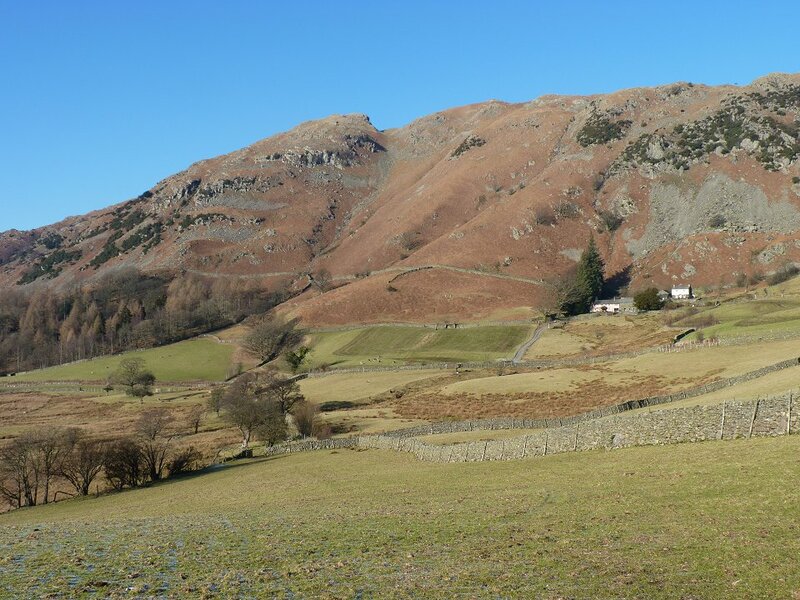 Robert and I went for a stroll from Elterwater exploring Lingmoor Fell and then heading to Holme Fell by way of a few exciting diversions. 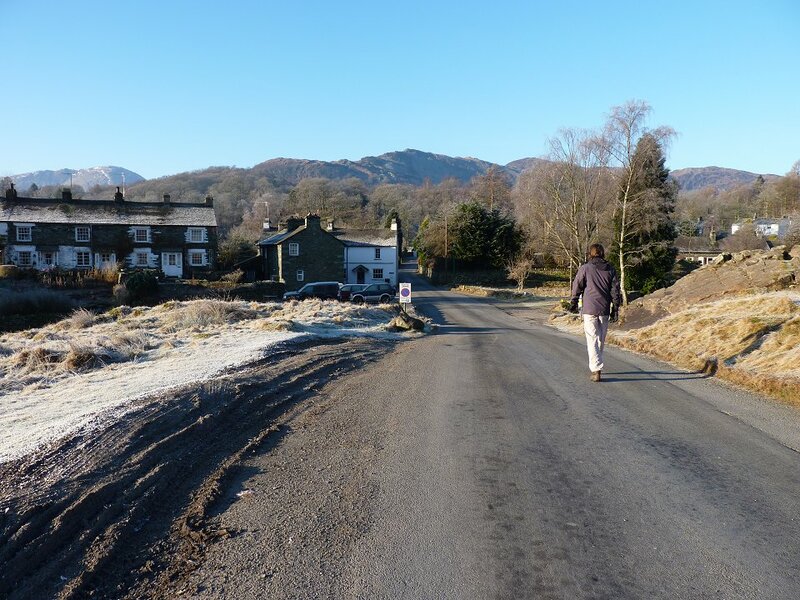 A really beautiful day as we set of through Elterwater with our first objective, Lingmoor Fell on centre horizon. . Following the easy paths you soon gain height. 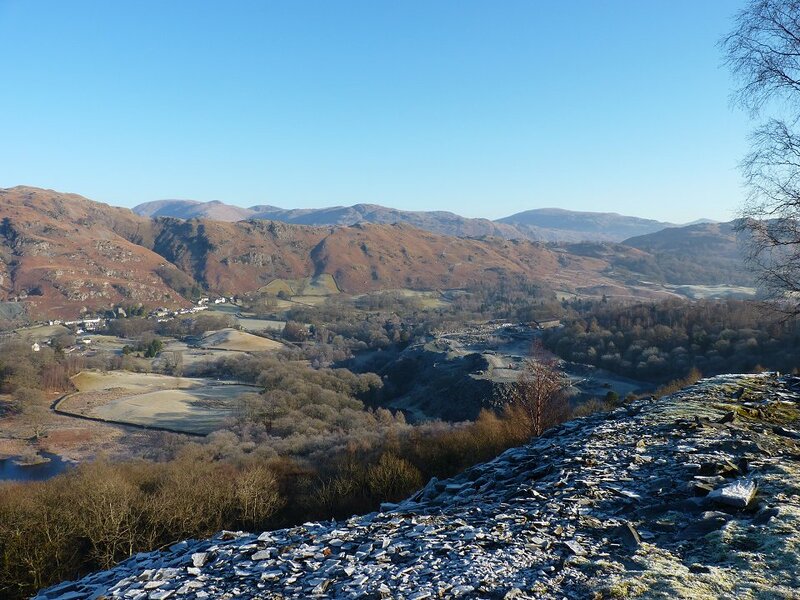 This is looking back over the valley with Red Screes in the distance. 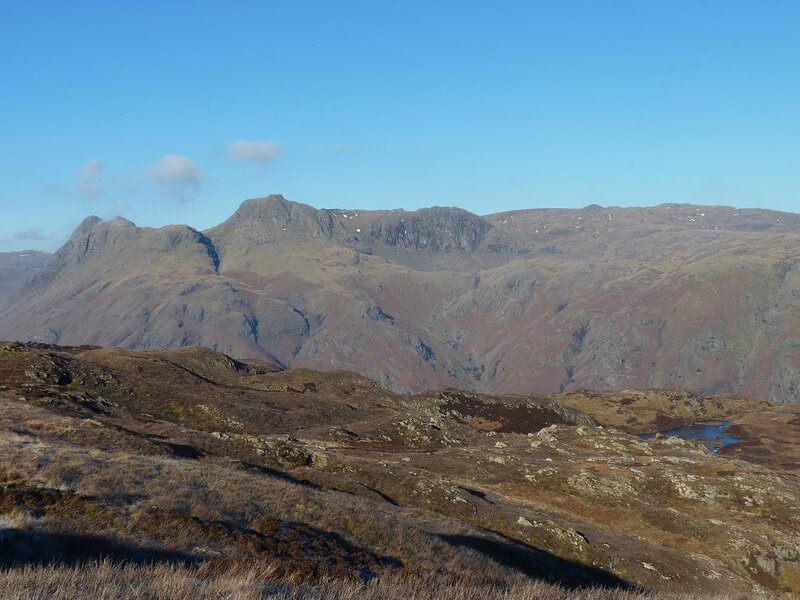 Harrison Stickle from the climb up Lingmoor. The old level just of the path. 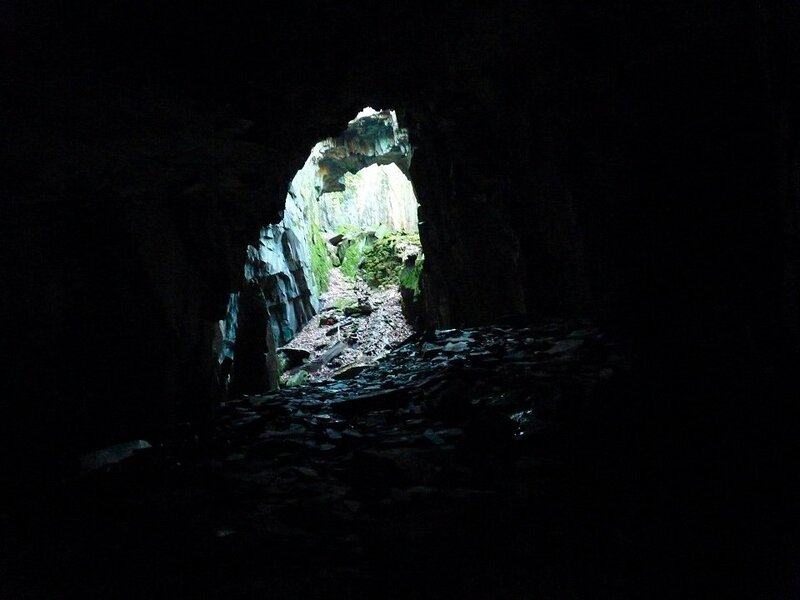 We had our head torches but only went in a couple of yards as you never know if there is an open shaft waiting for you. There would probably be a fence and warning notices but we were not taking the chance. 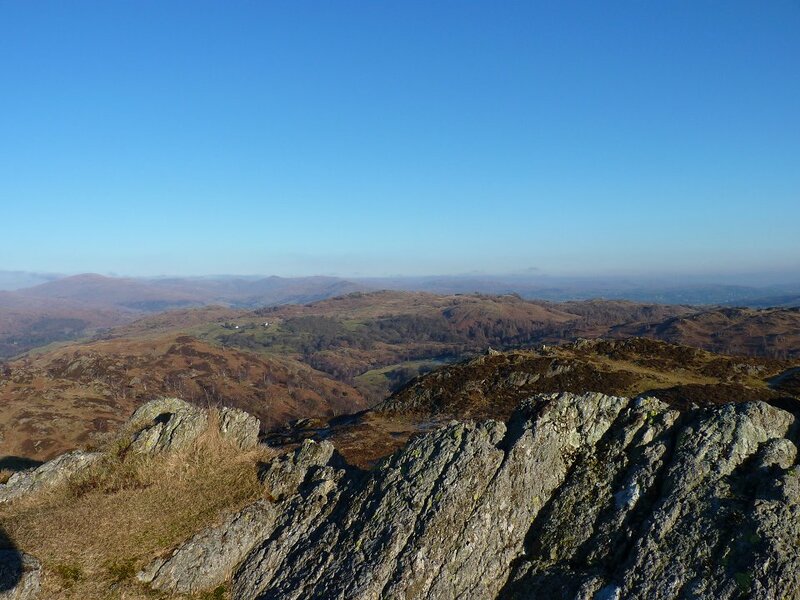 Looking back over Elterwater (the lake) from the ridge. 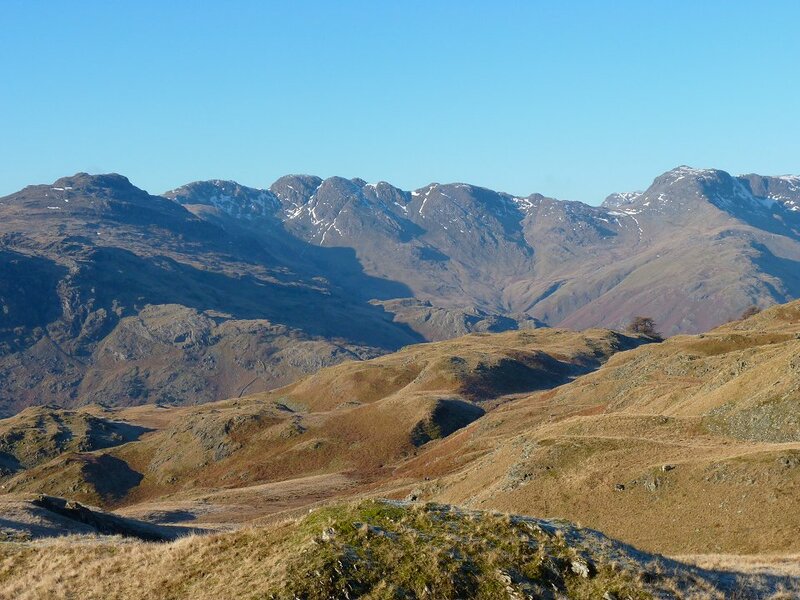 Looking at this view from Bowfell on the right, round to Pike o Blisco I thought again what a cracking little fell Lingmoor is. Looking further round to Wet Side Edge leading up to Great Carrs and Swirl How. 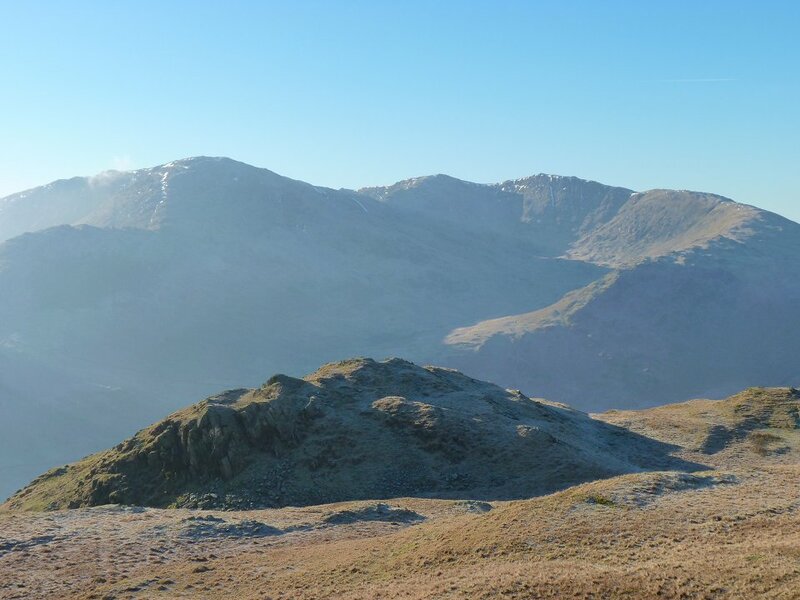 Wetherlam is the next fell along but views in that direction were spoiled by the bright sunlight, but we were not complaining about that! 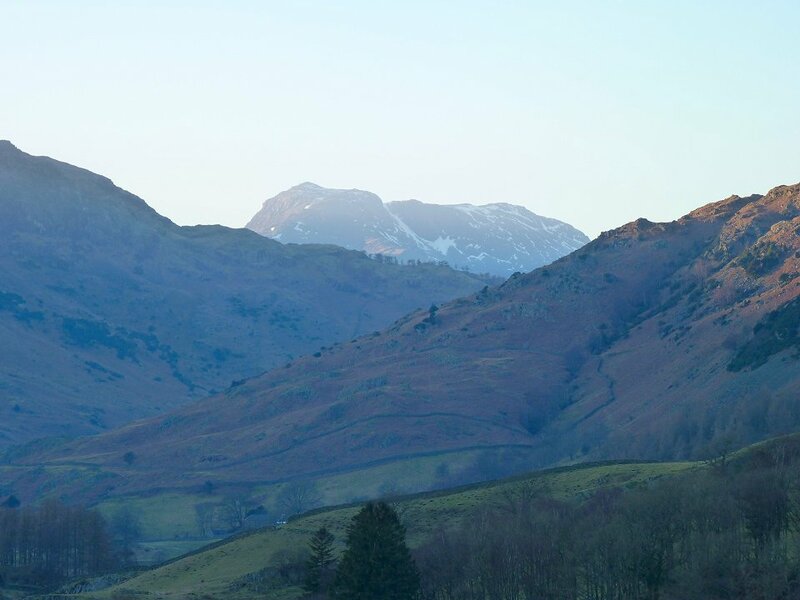 The full compliment of Langdale Pikes from Brown How, as the top of Lingmoor Fell is called. 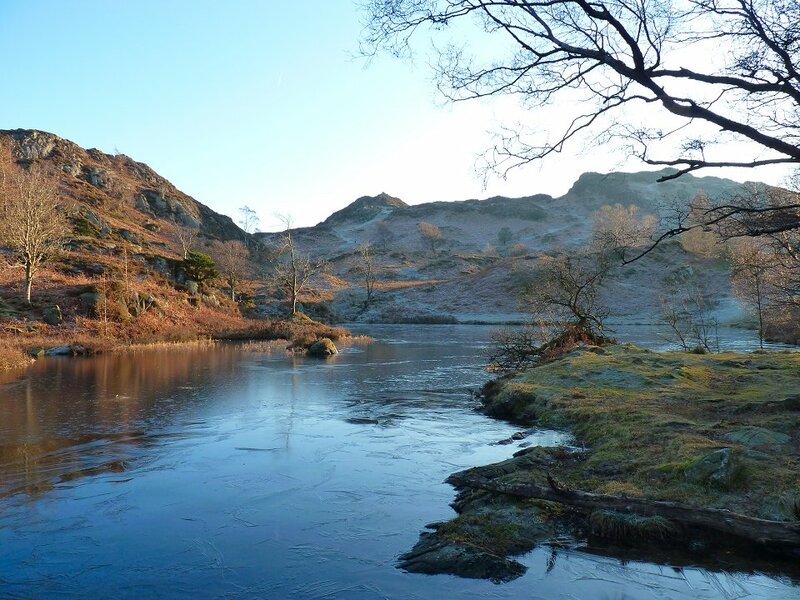 Lingmoor even has a little tarn to add to it's charms. What a fell! 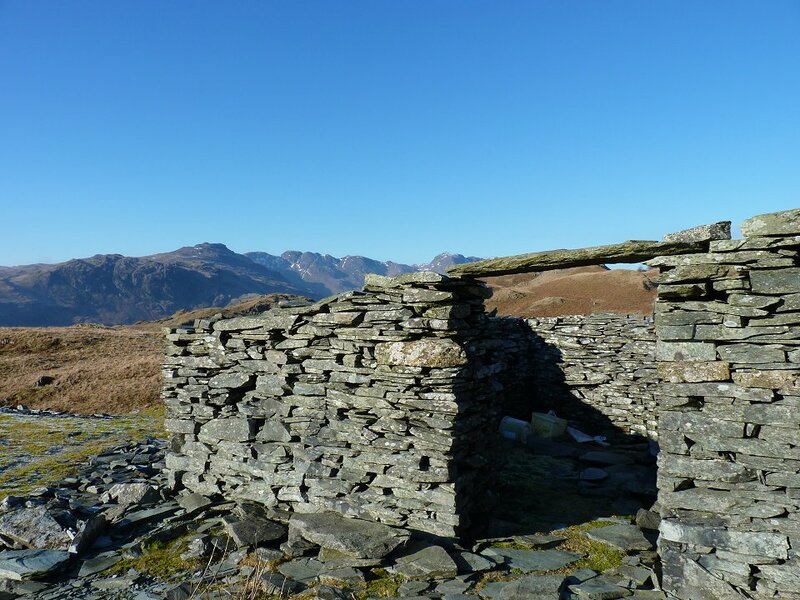 We headed down in the direction of Little Langdale and passed this old quarry building. Down in the valley now looking back at our route down of the fell, the steep stream bed to the right of the prominent crag (Busk Pike). Walking down toward Slater Bridge. 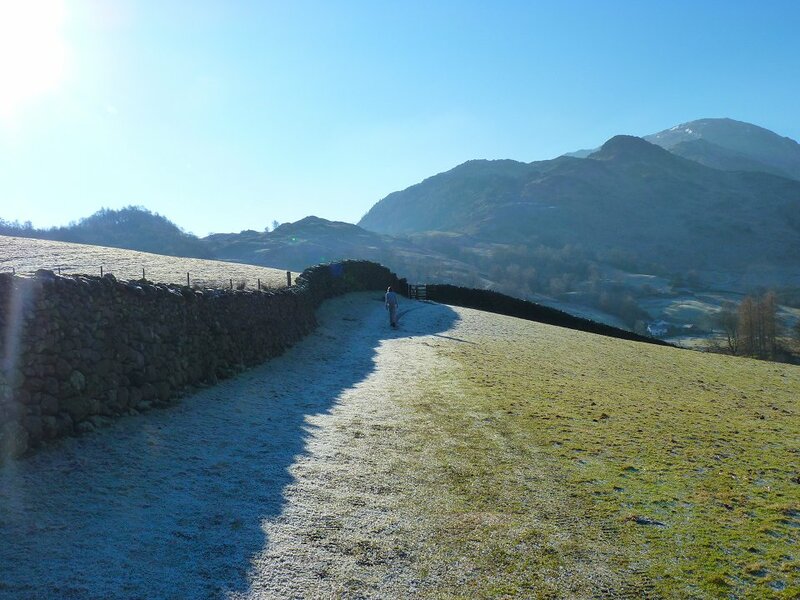 Tilberthwaite and Wetherlam in the distance. 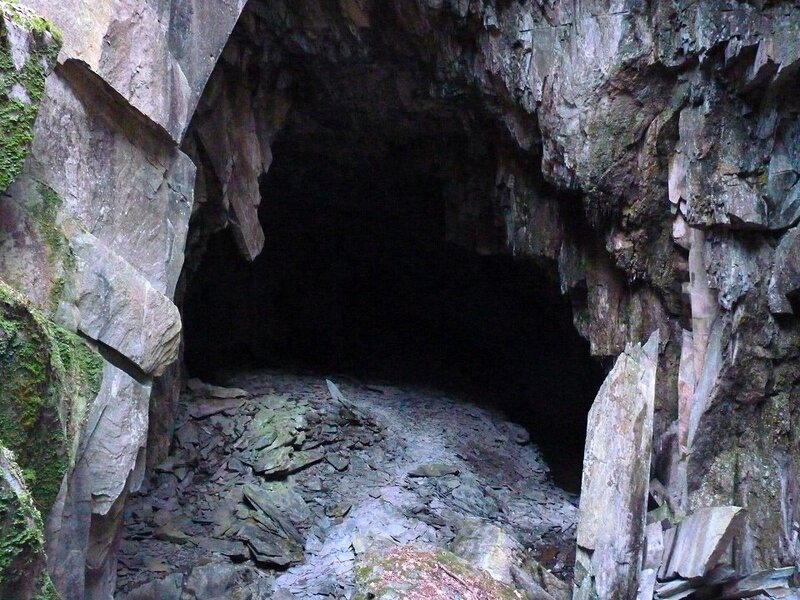 Just above Slater Bridge we found this Scary looking cavern. We donned our head torches and in we went. Looking back to the entrance. 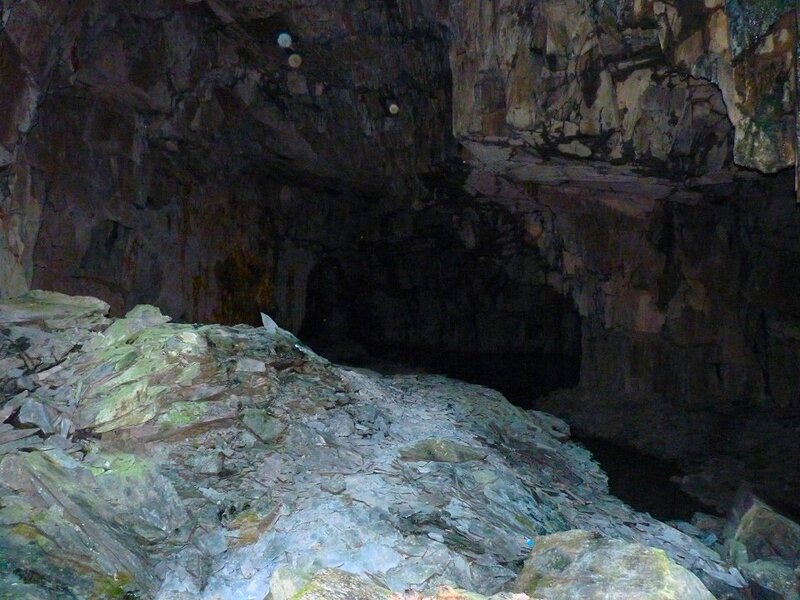 The bottom of the cavern contained a dark still lake which to be honest was a bit spooky Rob wanted to throw a stone in but we didn't dare in case we woke some creature living in the depths! 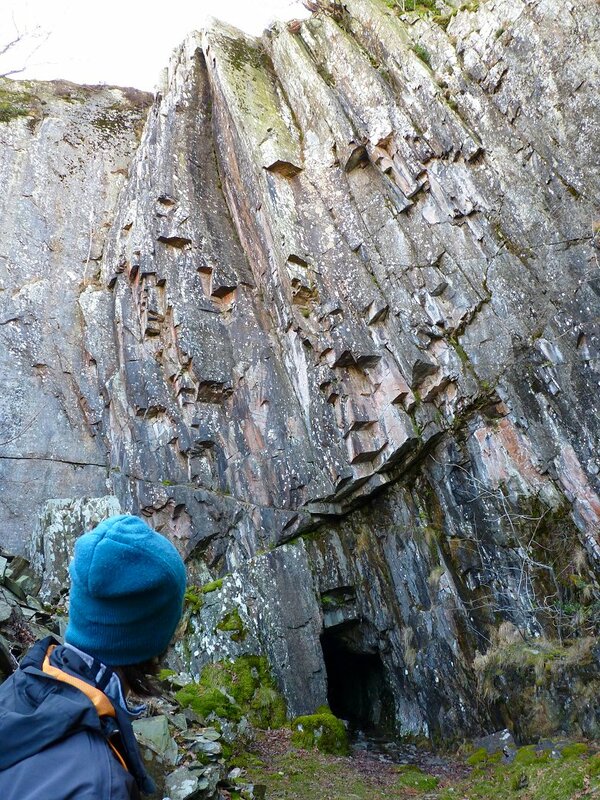 The cavern walls are reflected perfectly in this picture. We made it out alive and were glad to be back in the sun. 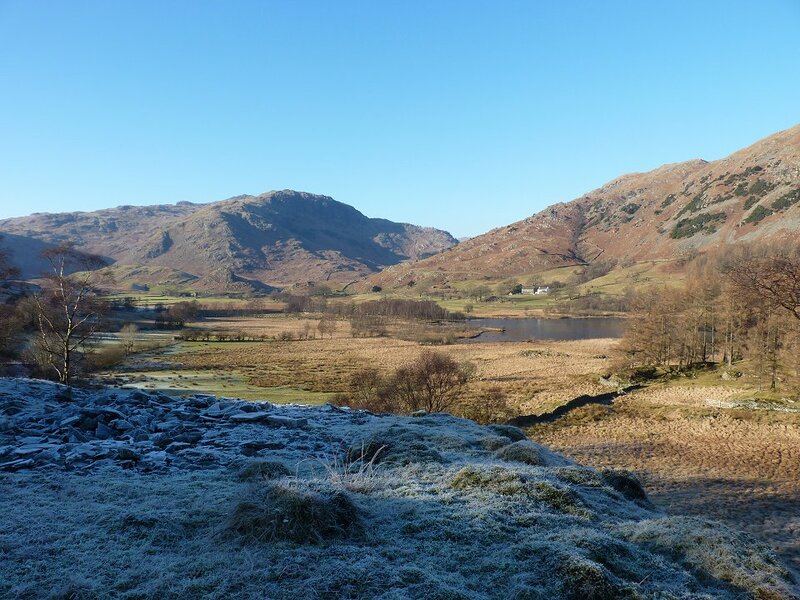 This is looking over Little Langdale Tarn to Blake Rigg. 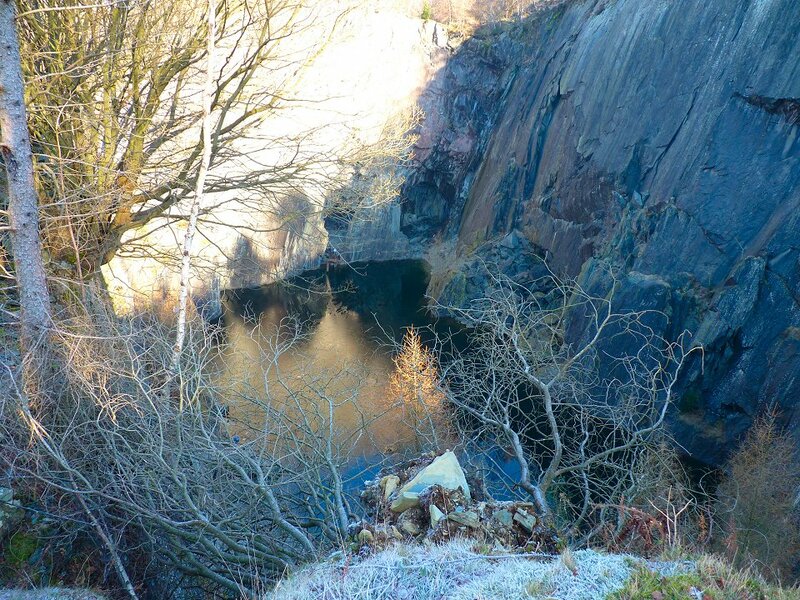 We made our way over some rough ground and arrived at Hodge Close quarries. 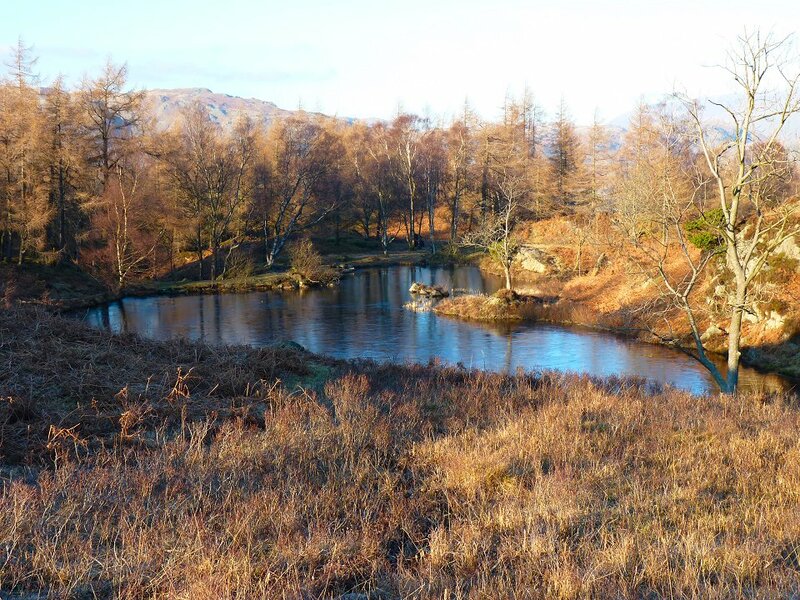 On Holme Fell now looking over to Black Fell which we had intended to include in our walk but we had spent so much time exploring we decided it was getting a bit late so re traced our steps down to Hodge Close. Passing one of the little reservoirs on the way down. 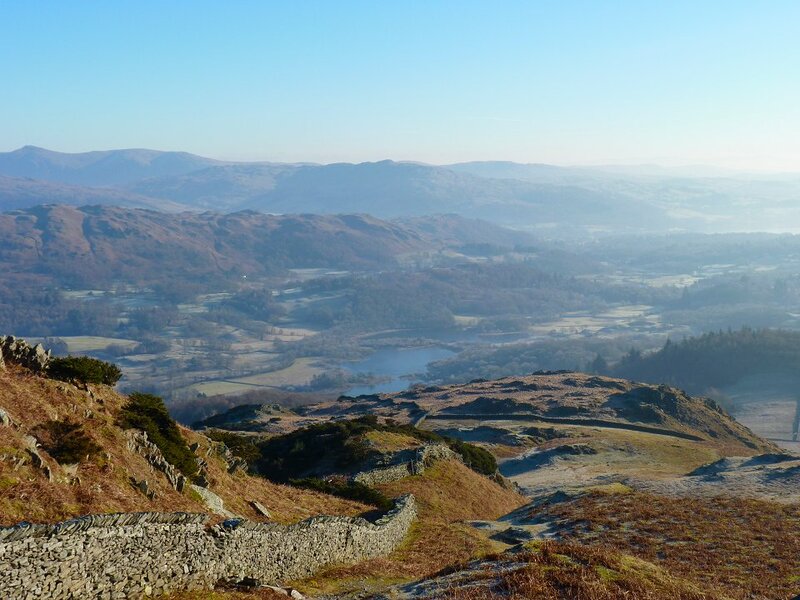 Looking back to Ivy Crag in the centre and the actual top of Holme Fell on the right. 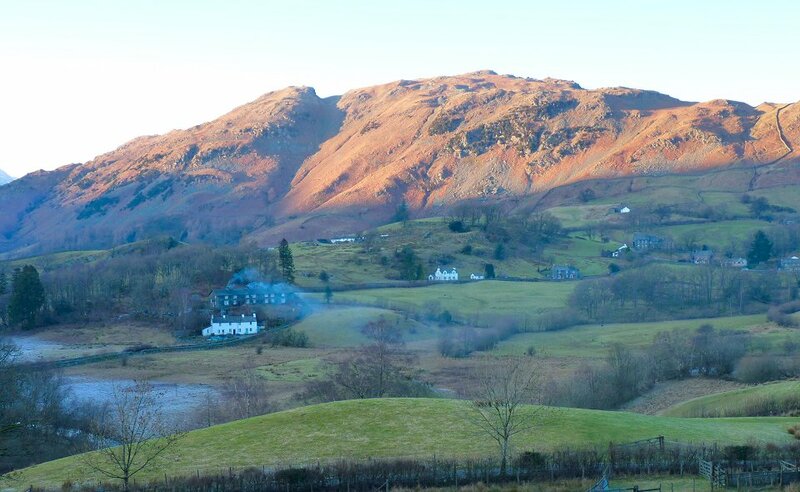 Lingmoor Fell lit by the late afternoon sun. 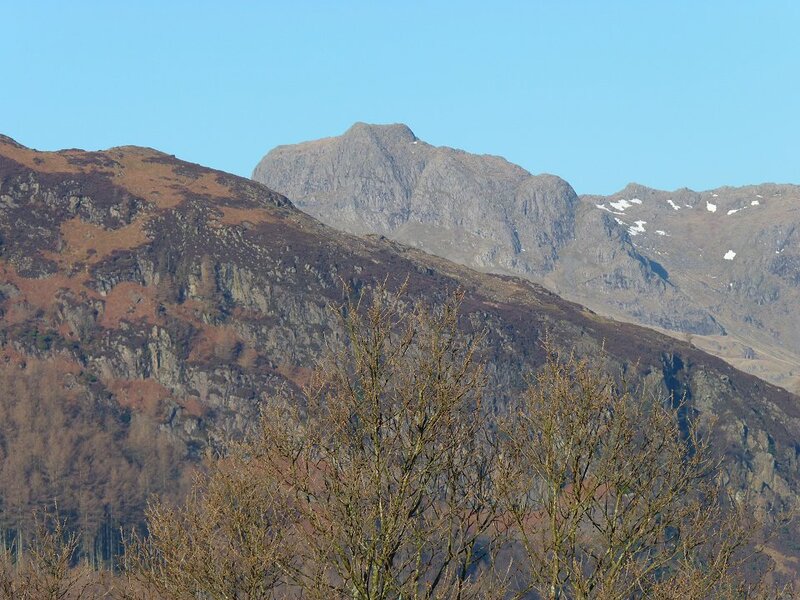 Zooming in on Bowfell as we make our way back to Elterwater.